When your clients aren't afraid to go bold! 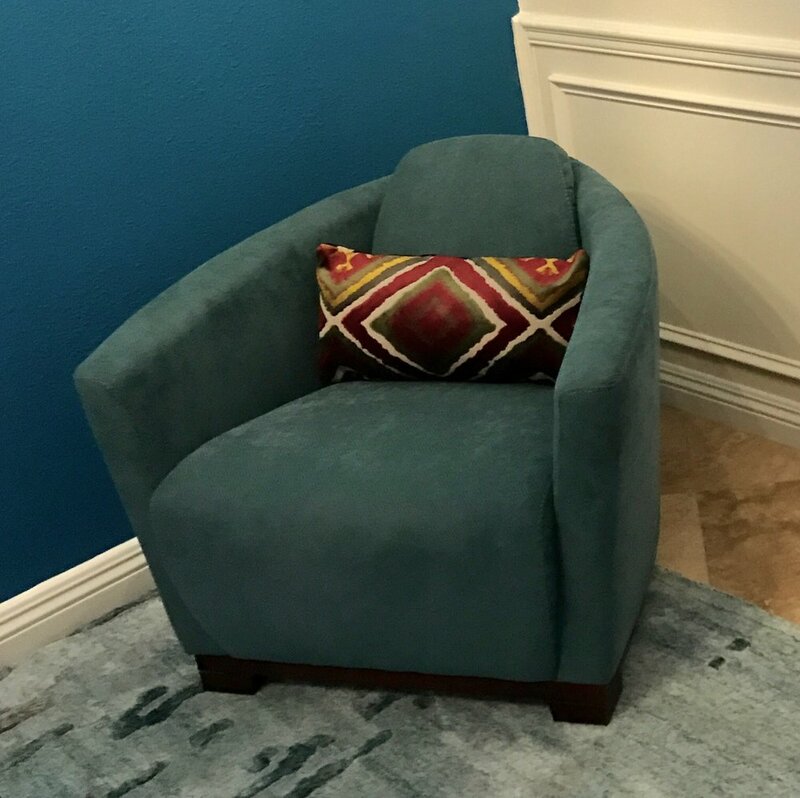 This client loves ocean rich blues hues, so we brought those colors to their home. Daring mix of colors with modern touches that bring bright energy and character to the space. Large windows flood the room with natural light, highlighting the wall color and art, creating an intriguing sensation of depth. Center focal point is a unique set of LP modern art. Paired with a pair of ceiling pendants add an artful illumination to the living room area, where teal, blue and magenta meet in a daring contrast of color. When you come home to this project you can except to be floored.